While the city of Atlanta is currently one giant Pepsi ad—the official soft drink of Super Bowl LIII has tongue-in-cheek billboards and banners plastered all over downtown that decree “Pepsi in Atlanta, how refreshing” and “Look who’s in town for Super Bowl LIII”—Coca-Cola quietly launched something that will benefit not only fans coming in for the big game, but also Atlantans for the rest of the next month. 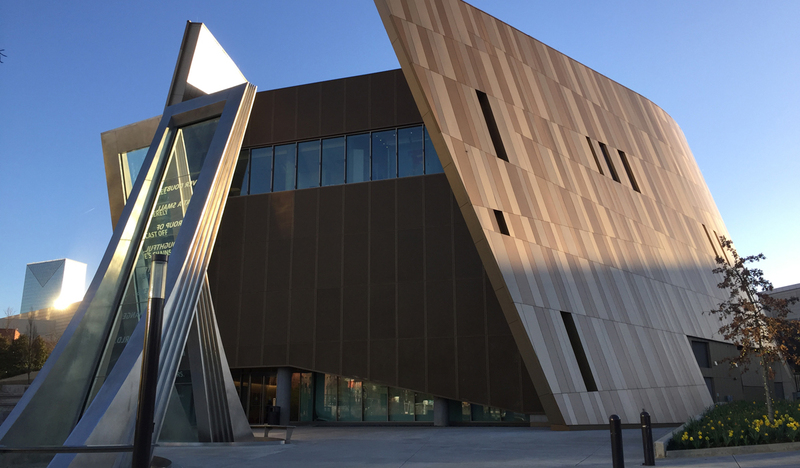 The Center for Civil and Human Rights, which opened in 2014, not only gives visitors an education on the civil rights movement of the 1960s but also other pivotal social justice movements past and present. One exhibit, the lunch counter, simulates the experience of a restaurant sit-in during the 1960s civil rights movement and has visitors listen to threats and taunts via headphones. The seats even stimulate vibrations from being kicked. The March on Washington room is more of a celebration, with video of the songs and speeches. There’s also a special exhibition on social justice in sports. It’s one of Atlanta’s most important attractions—we’ve named it a Best of Atlanta winner, one of our 50 Best Things to Do, and as a finalist for our Groundbreaker Awards—so don’t miss the opportunity to see it for yourself. The center is open Monday through Saturday 10 a.m. to 5 p.m. and Sunday noon to 5 p.m. And thanks to a FedEx grant, the Center will open extended hours on Saturday, February 2, from 9 a.m. to 7 p.m.